New Album Sanctuary Out Soon! 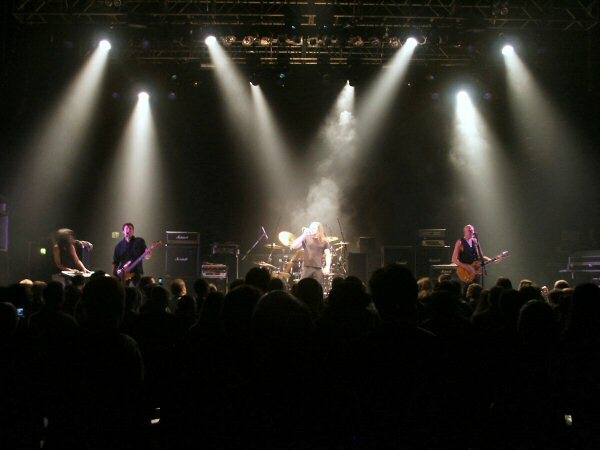 On 4th November 2005 Praying Mantis played their first show for nearly 5 years in a show celebrating, somewhat incorrectly, the 25th anniversary of the New Wave Of British Heavy Metal. 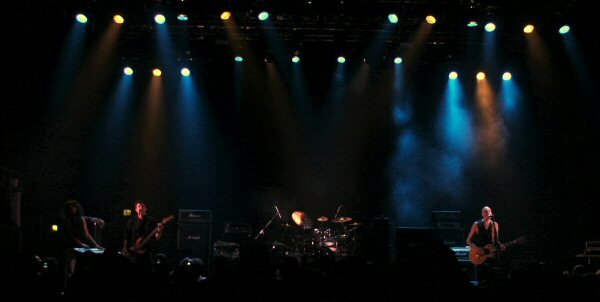 During the five years since the last gig the band had reduced down to a nucleus of 3 and released "The Journey Goes On". With the band being down to a basic trio it wasn't easy to get a band together to play live. It was therefore fantastic that this show came off. Not only that but it seems to have been a catalyst for renewed enthusiasm within the band. According to Tino at the gig with ten days to go to the show the band were going to pull out. Luckily Damian Wilson (Vocals) and Benji Reid (Drums) stepped into the breech and the band were able to put on a great show. For the first time since the Bernie Shaw era of the Mid-80's Praying Mantis performed as a 5 piece with just Tino Troy on Guitar and Leon Lawson on keyboards. Dennis Stratton had planned to make the gig but at the last minute had to pull out due to Illness. 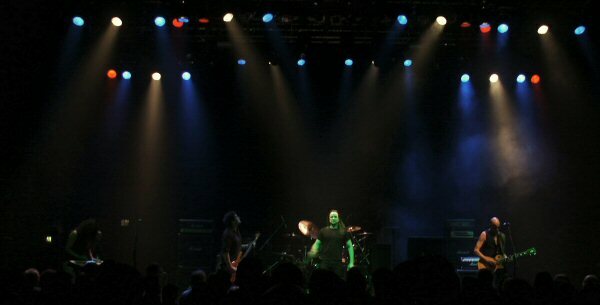 The result was a unique Mantis performance with the songs approached in a fresh way to the Tony O'Hora era. 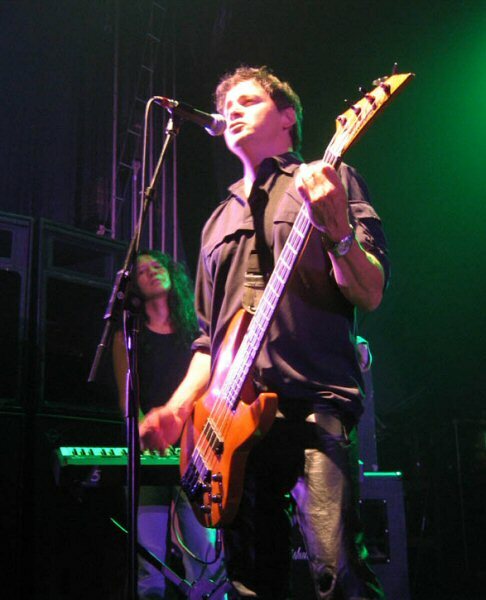 Damian Wilson is a very strong vocalist and his delivery of vocal lines was very different to Tony's. If Praying Mantis can keep his services for the next album it will be a cracker. I personally liked the fact Tino seemed freer to solo since he didn't have two worry about a 2nd guitar. It also gave Leon a chance to shine more on keyboards. I like the twin guitar sound and overall would prefer it but the part I missed most about Dennis Stratton not being there was his vocal contributions. Drums are not something I am able to comment on so I hope others will send in a review of the gig that I can add here. I do know the Benji was really struggling to keep going during the 45 minute set as sickness bug had got him too and he was still very weak from it. With Dennis missing on backing vocals Chris Troy more noticeably took the lead vocal for the start section of "Lovers To The Grave". Damian joined in for the heavier "Oh Lord" section. From where I was it was also great to hear Chris well up in the mix. It is easy to forget how complex Chris's bass playing can be sometimes. I could be wrong but I believe this was the first time "Don't Be Afraid" had been played since the "To the Power Of Ten" tour in 1995. The set list therefore nicely represented the bands output up to the "Forever In Time" album. Sadly there has never been full opportunity to incorporate the songs from the last two albums into the set. Mantis have been offered a worldwide record deal for the next album and they have a potential strong solid band again. They are now actively looking for gigs again so things are looking up again after a rather lean period. Keep your fingers crossed that things work out!